Apply the horizontal valley-fold of the step #12. Apply the "squash-fold" of the step #13. 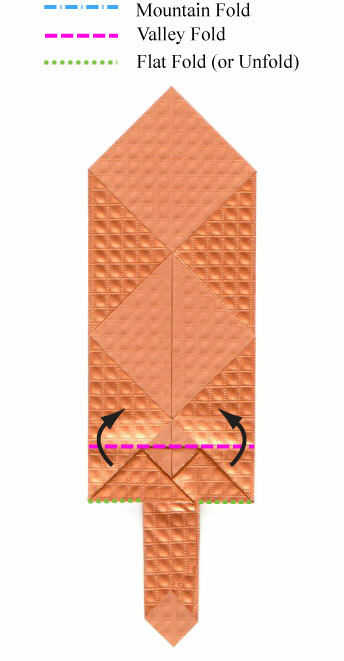 Prepare to apply a horizontal valley-fold while unfolding the lower horizontal edge.